Last weeks, we hear all kinds of stories on the Google-license, so let's have a closer look. Most people forget this, but the earliest register entry for Google dates back to 2007 for E-money, and was handed out to Google Payment Limited in London. I blogged about it then, and since then we could see a Google Wallet in the works, Google bucks. The register of the FCA/FSA still has the entry here, demonstrating that it was effective until 19/5/2011. The brand name in the register is for Google-checkout. Then from 19/5/2011 onwards there is the next register entry (with the register later being handed over to FCA by 31st of March 2013). The register entry is still for e-money with passports to other countries. These passports date from 18-5-2011 as our Dutch e-money register shows and the firm is also licensed to perform payments under the PSD1 definition. Offering additional PSD2 services is not part of this license. Now, with the Brexit coming up, there is of course the question how to manage future uncertainty. Many players have been trying to solve the puzzle and my assumption is that the recent moves towards Lithuania and Ireland are Brexit-related. Lithuania is quickly becoming a hot spot for e-money licenses and taking over the dominant role of London in this respect. The license there will allow Google to continue operating in the e-money and payments domain and also offer Payment Initiation and Payment account services. This makes Google Brexit-proof and PSD2-proof. Also, we should note that Lithuania does a nice job in offering a digital form of license as well. Have a look at it over here. When checking the Dutch register, I noted that there is no passport for the Lithuanian entry, but still the UK one. I expect however that the new passporting will become effective in a couple of months, so Google can continue its operations in the EU, now under the Lithuanian passport rather then the UK passport. As for Ireland, the license is limited to issuing payment instruments and accepting payment transactions, which would point to the fact that Ireland may be the corporate base that also has a role in shaping the future payments infrastructure for Google. It also suits the concept of PSD2 that one has to get the license in the country where it is also used. Google is since many years in the payments domain and treading carefully, applying different concepts and such. They made themselves Brexit and PSD2-proof by moving to Lithuania (where they are still wating for the passport procedures to finalise) and created additional future business flexibility by applying for payments issuing/transaction acquiring in Ireland. EC gives open banking to bigtech via PSD-2 and Apple closes its doors to banks in return ? Just the other day I attended a session of the Dutch Foreign Bankers Association, all about Fintech disruption and innovation. Guest speaker Jesse McWaters, who is the project lead for the Fintech programme of the World Economic Forum, shared his insights into the tech-revolution and how this impacts the business models in financial industry. One very important observation that he made had to do with the place of banks in the future value chain. They can choose whether to be a product provider or whether to engage in battling for the end-consumer experience by providing multi-party platforms. In this latter approach, it is a big data game. Both banks and big tech will be battling in the same arena where banks need bigtech data and bigtechs need bank data to complete their 360 views of their customers. In this respect Mc Waters had an interesting question to us, Europeans. He asked if anyone at the European Commission would have understood the huge impact that PSD2 and obliged open banking will have on the competition balance between banks and big techs in the market. Doesn't this skew the balance in favour of the bigtechs without anything in return for the banks? My response was that in essence the whole open-banking idea in the PSD2 originated from an EC-monoline bureaucratic approach to solving a competition case between one fintech and the European Payments Council (see newsbulletin). I also sketched that the implicit rule of the PSD2 appears to be that such access without prior commercial contract would be free, even though an analysis from our Dutch competition authority outlines why there is a good case for putting in place a compensation for banks for the access to the customer data. And no, the access is not reciprocal. Big data companies would not have to open up their accounts full of customer information for banks. The interesting thing is that we were having the above exchange of thoughts in a week where Bunq had announced to move its systems fully into the could of Amazon (bigtech). And Bunq had also opened up Applepay for its customers. By tweaking the geography settings, Dutch users could start using their phone for Apple-pay. The fun for bunq-ers didn't last too long though. Apple used its powerful bigtech position to shut out the Dutch bunqers from using Applepay. And my guess is, that its arguments for doing so would be pretty much the same arguments that Sofort heard when they connected to German banks. It would not be safe, there would be no required commercial contract allowing this access and so on. It seems that already some time ago the EC course on Bigtech has been changing. We are beginning to realize that we may need to protect our citizen's data somewhat better and that we should not help them avoid taxation. Hence the announcement this week of a 3% tax for bigtech, to make sure they do not get a free ride here in Europe. It would be very much in line with this new vision towards bigtech if the European Commission mandates open acces to customers big-tech information for banks or any other licensed entity that have the customers permission to request it. If the Commission truly seeks to achieve a balanced market with proper competition, it should redress the design errors in the PSD-2 and allow banks to ask fees for access and/or allow them reciprocal access to the customer data. Three years ago, when we were all pondering the impact of PSD2 on the payments market, I was challenged to outline where I believed the innovation in payments would occur. My response then was that we needn't forget the area that we forget to look when speaking at banks. I was in particular referring to retailers, using technical innovations to provide shopping solutions with an almost invisible payment experience afterwards (based on old school direct debits). Fast forward to today, where it turns out that by summer (the time we may indeed implement the PSD2 in the Netherlands) Albert Heijn will open its first checkout-free AH to go store. The store, the first of its kind in the Netherlands, will be located at a high-traffic location in Amsterdam and will be deployed with “tap to go” technology that allows customers to pay for groceries with a card or a smartphone without going through the register. As the video shows, the card itself will be an NFC-card version of the well-known loyaltycard (Bonuskaart). It uses the identification features of the card to register the purchases, with payments occuring later via the regular direct debit mechanisms of banks. So there we are: we find a non-bank, identity-based commercial app that uses new technology to make payments the afterthought that they really are. And we will see many more to come. Now that we have the second Payment Services Directive going live in a couple of jurisdictions, the news media are reporting on one of its prominent features: the retailers do not have the right to pass on payment fees to consumers for all cards that are subject to the EU regulation on multilateral interchange fees (MIFs). As can be seen in the tweet below, the UK chose to extend this to 3 party schemes as well. As I expect quite some further discussions on this topic (and retailers circumventing the rules by introducing other types of charges to their customers) I figured it would be good to provide some background on the reasoning that is occuring in the area of MIF-regulations. A further look at history would even suggest that we need to take one step further back in order to rethink our analysis so far. 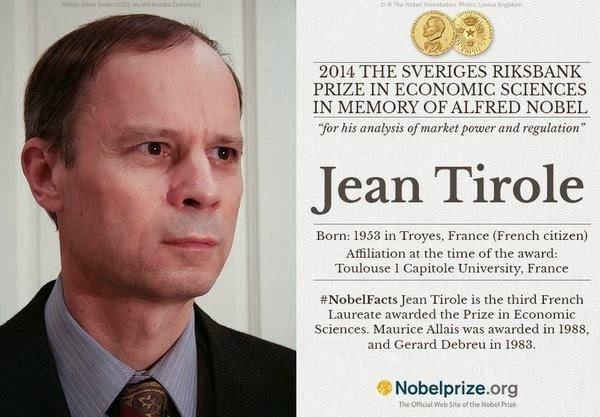 If we try to assess the arguments pro and con interchange fees, some important thinking in this area is done by Nobel prize winner Jean Tirole, who worked together with Rochet on competition in two-sided markets, such as payment-cards markets. At the heart of their studies is the question what the pricing structures are in two-sided markets and under which conditions and to which extend compensation payments between different sides of the market (interchange fees) are justified. This work has been at the core of many regulatory strategies but it is subject to a lot of discussion. All market players, whether 3 or 4 party card schemes, issuing banks, acquirers, processors, retailers, consumers and regulators, heavily debate pro's and con's of interchange fees. And in doing so they must use the reasoning and models of Rochet and Tirol. In essence the model tries to determine which cost and interchange fee levels are relevant for competing products/platforms such as cards vs cash. Do note however that already more than 10 years ago, Brookings Institution released a very good paper on interchange fees, concluding that it is impossible to prove one or the other side of the arguments on interchange fees, let alone determine which level of interchange fee is correct. I think their analysis still stands which means that in the end, interchange fee regulation is more about lobbying and power politics than actual econometric calculations. - retailers are forbidden to surcharge for payment costs, when the customer uses a card which has a capped interchange fee (reason being that they may not gain from reduced costs on the one hand while keeping surcharging intact on the other hand). In essence this means that the EU has bought into the argument that multilaterial interchange fees were being set to high and require regulatory intervention (thus emulating the behaviour of other regulators such as the FED and Australian Reserve Bank). In doing so they accept and embrace academic models which mostly focus on the topic of optimal price regulation in a stationary market with alternative platorms/products. Historic approach: where did the interchange fee come from in practice? It strikes me that all the economists at play use an empirical description and mathematic approach to start their reflections on interchange fees. One very obvious element is missing in a lot of papers (except Baxter, who goes at length to discuss history): what were the market players thinking when they wanted to introduce these fees? What is the industry trade-off they are facing? In Dutch payment history, the banks have been very keen not to disclose their cost/benefit considerations and finances. It was only in 2005 that they allowed McKinsey - as a notary - to have a full look at all internal costs and benefits, in order to draw up a report on costs/benefits based on a full insiders view. I have been personally committed to this effort and helped making it become a reality based on the belief that a lot of misconceptions can be eliminated by being open on ones business model. However, while this report shows the situation in 2005, it doesn't tell us where the interbank fees came from. The archives of banks do however and to me it is stunning that very few academics in the interchange fee domain have tried to uncover these sources to calibrate their reasoning. Because if they would, they might be able to enrich their analytical approach. Core question: can we avoid double charging for the retail customer ? Reading through the old reports of collective groups of players in the Dutch payments domain, we can see an interesting game-theoretic approach to the multilateral fee discussion (which I will be disclosing more in detail in an upcoming publication on the history of Dutch retail payments). In essence, in the 1980s the emergence of new players, that were going to be piggy backing on an existing infrastructure without interbank compensation, fueled an existing debate on the distortion of the cost/benefits of banks. Banks with a lot of private consumers would usually bear many processing costs, while banks with corporate customers would reap the benefits. And the winner in the game would be new players, for example investment funds, that would hold pooled accounts for customers funds at a large bank, without having to pay anything for the incoming deposits that came from all the Dutch banks. - interbank understanding that consumers would not be levied fees for instruments where an interchange fee arrangement existed. The explicit reasoning in a well documented cost/benefit study here in the Netherlands (never officially published as banks made sure to not disclose their thinking) was that it was of course also possible to not introduce an interchange fee system. The involved payment experts noted however that this would lead to bank fees on both the consumer and corporate side of the market. Absent coordination and agreement of reasonable interchange fees, the expectation was that those individual fees of banks to their respective customers would be higher than necessary. 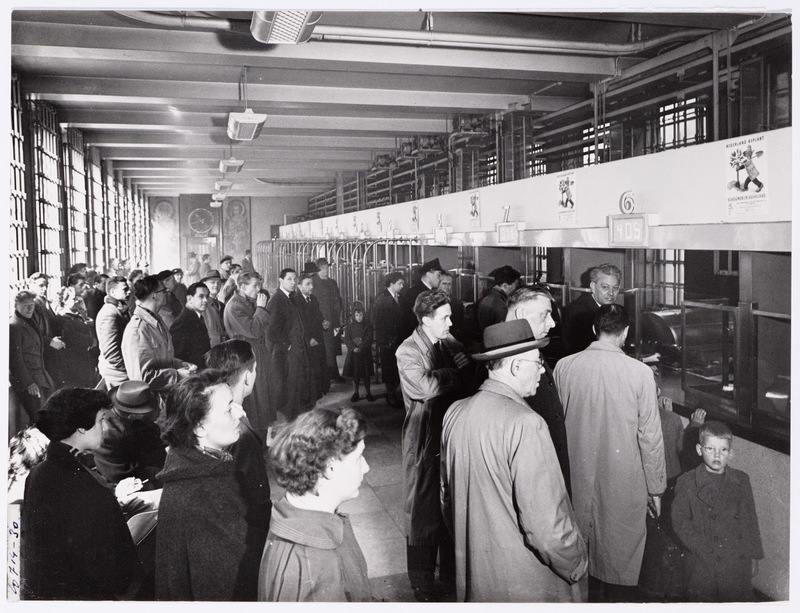 In addition, the bankers expected the corporate side of the market to also add on surcharges and administrative charges to the consumer, which meant that effectively the consumer would then pay twice for payments processing costs: one time at the issuing bank and the other time at the retailer/corporation side, where the payments costs were incorporated into the price of services. Thus, for the Dutch society as a whole, this situation with mark ups on payment processing costs starting at the bank individual level, would undoubtedly be more costly, than the situation where the bank layer coordinates its cost/fee level and thereby avoids double charging of the customer. - we also don't trust merchants and want to avoid them pocketing the benefits of lower interchange fees at the costs of consumers. - consumers will effectively be paying twice for the relevant payment costs, in spite of the EU goal that they don't. Where Europe has chose to intervene in interbanc dynamics, in order to achieve the best result for society, I am not sure if this will indeed work out as such. Yet, I must confess I am not an academic scholar in MIF-models and I get dizzy when reading all the equasions. However, I sense that some of the MIF-modelling doesn't match the actual game-theoretic constellation that occurs in practice. Personally, I would rather place my trust in the diverging conflicts of interests between closely collaborating banks in an industry (leading to an interchange fee level that is scrutinised among quarreling bank experts) to keeping my payment costs appropriately low, than the good intentions of regulators that expand their interventions towards those mechanics themselves (thereby unleashing the possibility of double charging to me). Why Bitcoin Core and Bitcoin cash both make sense ! The other day I was reading an excellent blog by Vinny Lingham on the differences between Bitcoin Core and Bitcoin Cash. What I appreciated very much is his attempt to take the heat out of the intense discussions between 'followers' or 'supporters' of these two bitcoin types. And his overview inspired me to reflect a bit more on the reason why actually both Bitcoin Core and Bitcoin Cash make a lot of sense and why there is no need for petty bickering given the open source philosophy on which both protocols are based. If we look at the design philosophy of bitcoin, the essential idea is that all participants may act as a user or a producer (miner) at the same time. This is very much in line with all other P2P business models that we see emerging, based on networked technology. With AirBnB, owners of houses also become producers and numerous other sharing platforms seek to achieve the same. 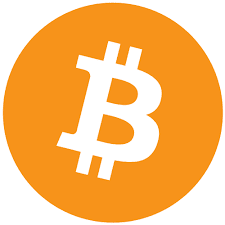 The combined producer/consumer role in bitcoin is very much in line with the design principle to outsmart the centralized institutions of a central bank that issues fiat-currency or with similar players as banks which have their own specific their role in the money-value chain. However, the obsession with the dominant role of central banks and banks is so strong in the bitcoin world, that there is too little attention for standard logistics/economics, when looking at the basic proposition of provision of payment services by all to all. So let's have a look at those logistics. Anyone participating in payment systems will recognise that a full peer-to-peer system is intrinsically inefficient. Imagine a market fair where all participants are both buyers and sellers. They could pay each other after each sale and hand over cash or other payment instruments. This provides everyone with instant security and payment, but also with cash in hand and time spent to make and accept payments. Now, if the fair happens regularly, some smart participants will come up with a more efficient idea, which is to not pay after each sale, but to keep track of all payments and net out the payments via clearing cycles. Effectively this is what already happened during the payment days of late medieval fairs and can be witnessed in all kinds of informal or formal constellations (clearing houses etc) that have come into existence since then. The conclusion is therefore that, wherever payments are made, at some point in time a new underlying structure will evolve in which specialisation occurs. Those that are very active participants will have different roles and interests than those that only use it sometimes. And it's the active community that will seek some efficient alternatives, while the less-active part will go with the flow. Eventually you will end up with a specific constellation that works for that payment community. - super settlement agents (mostly, but not necessarily, central banks). If you start a payment system, such as bitcoin, from scratch by allowing everyone to fulfill every role in the system, economics dictate that in the end specialized roles will occur. We've seen this happening early on with the difference between light-wallets and full nodes. Similarly different players have chosen to serve a different part of the value chain. In the context of an open source protocol, it is just as inevitable that opinions differ on the most efficient way forward. And that's where both Bitcoin Core and Bitcoin Cash have a valid proposition. As the blog by Vinnie Lingham outlines, the Bitcoin Core community sticks with the idea that as a design principle all users must be able to run a full node. Scaling and performance issues for the payments mechanism can be solved by adding an outside transaction layer, meaning that Bitcoin Core chooses to be the settlement layer (in classic payment terms). 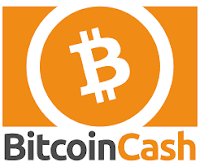 Bitcoin Cash on the other hand takes the economics of payment systems as a starting points and accepts the economic reality that in practice, the majority of bitcoin users will not (and cannot) be producers at the same time. Their philosophy is to not tamper with security choices in the area of digital signatures but simply increase the block size, in order to cater for the end-user need to have easy, cheap, simple and fast value transfers. In doing so, they remain IMHO closer to the original idea in the Bitcoin paper (provide an alternative easy fast and cheap transfer mechanism) than Bitcoin Core. I am amazed at the amount of energy and emotions that are wasted in the crypto community in what comes down to petty bickering. Whether this is between Bitcoin Core and Bitcoin Cash or between whichever of the other cryptocurrencies, blockchains or DLT-designs. It is and was inevitable for the bitcoin protocol to run into the standard efficiency problem for evolving payment and settlement mechanisms. It is just as inevitable that different solutions exists and both Bitcoin Core and Bitcoin Cash are equally valid. The one just wants to end up becoming a settlement layer provider while the other wants to be stick to the user layer of payment systems. Where is the harm in that? The open source philosophy means that we will see in practice which solutions play out best for the ecosystem(s) and rather than bickering about advantages or disadvantages we should cherish the variation and choice that the open source philosophy brings. Labels: bitcoin, bitcoin cash, bitcoin core, blockchain, cryptocurrencies, currency, distributed ledger, financial history. Cryptocurrencies, initial coin offerings (ICO's) and tokens: we remain puppets on someone else's strings ! Now that the bitcoin price is heading towards $10K and beyond, we see another wave of interest in the cryptocurrency domain. Regulators warn about the risk of Initial Coin Offerings and news bulletins keep on re-discussing what is happening in this space. What we are looking at in the cryptocurrency, blockchain and distributed ledger space is that seemingly public and democratic technologies are being put to work for specific groups of individuals/companies. While the technology may be sold as serving a public purpose, in the end it's just a variation of any medieval local Duke issuing his private currencies to the population: profits to the Duke and potential losses to the public. What is happening now is a convolution of low interest rate regime, overhyped media and greed, leading to private individuals scrambling for profits in the area of cryptocurrencies. They can do this either by investing in the cryptocurrencies themselves or as an entrepreneur by sharing a mining pool, setting up exchange's or trade functions or developing new token types or blockchains. And as with the gold rush, it will be the sellers of shovels and buckets that will in the end really make the profit. While in the initial stages of the bitcoin blockchain, we could see a whole lot of alt-coin scams, we are now seeing a range of ICO-scams, as people are exploiting the ethereum capabilities to venture out in the cryptocurrency world. Only a very few of those will survive and the rest will disappear just as the nonsense alt-coins did. The redistribution of value that can occurs with these new currencies may look democratic, but that is a wolfe in sheep' s clothes. Effectively the new currencies are and will be the domain of private individuals trying to seek private gain rather than anything else. And there is no guarantee whatsoever that this constellation will have the interests at heart of all people in society. It will be Darwins' survival of the fittest all over again, which will exclude certain groups of citizens from participating fully in society. As democratic as a crowdbased currency looks: you will still be a puppet but on a different string, with unknown gains being made by unknown players in the value chain of this collective currency. The question that is now on the public table: is the value of bitcoin a bubble as the tulipomania? Despite the tendency to say yes, I would argue that the answer could effectively be no. First of all, the whole western money system is a bubble right now, as central banks have inflated our financial systems to an enormous degree with the Quantitative Easing. We should realize that neither bitcoin nor any other good in this society has its proper value right now. Thanks to these central banks, the amount of money that I get in my savings account has been too low for almost a decade now. Second, within this skewed monetary world, market-forces do still apply. They will also apply to bitcoin-core so that with each fork (bcash) or new blockchain (ethereum, eos) a potential new competitor may turn out to become the winner. The word used for a shift in this momentum is: the flippening (as sentiment may flip to different assets or infrastructures in a very brief moment of time). The interesting thing is of course, that in this digital world, anyone can monitor this real-time on sites such as Flippening Watch. It will be like watching the strings of the puppets move, without knowing who the real players are. One of the basic facts in retail payments is that there is a structural difference between so-called giro-countries (Austria, Switzerland, Japan, Germany, Netherlands, Belgium etc) and cheque-countries (France, US, Canada, Australia). Ever since, the central bank was careful not to obstruct the cashiers and bankers too much in their business operations. So as a practical measure, the central bank took care to set its fees for deposits and discounted bills of exchange at a less competitive rate than the market. But fact of the matter remains that a possible candidate for a privately issued Dutch payment cheque, was no longer available. Up next I figured I would take a look at a US stamp duty register from 1866. And we can indeed see the difference there. A bank check would cost 2 cents, regardless of the sum involved, while a bill of exchange would cost 5 cents and possibly more when higher amounts were involved. In the mean time, if you enjoyed this blog, you may want to let me know that you're interested to be informed when my book on hundred years of Dutch giro payments will be published. This will help you understand more of the intertwined dynamics that are at work when retail payment systems and instruments are developed. 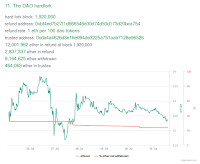 Last month, Antonio Madeire nicely summarized the discussion on the DAO-hack and the fork which brought Ethereum classic into being. I remember that my contribution to the discussion at that time was that the Ethereum developer community should not revert to a hard fork but to the judge and/or arbitration. The other day, I was discussing with Ian Grigg, a long time mutual topic of interest: making technology work by adding proper arbitration to smart contracts and agreements. This can even be done in code, as he had demonstrated way back in the 1990s in his ricardo system. What does this mean for Ethereum governance? While I hugely appreciate the development of Ethereum and all the efforts that have gone into it. it does strike me that when push came to shove, the developers brushed aside their own terms and conditions. The use of Ethereum was instrumental to setting up the DAO, so why not revert to the ICC Arbitration? My guess would be that, not being lawyers or into governance, the developers used the tools that came in handy and quickly. 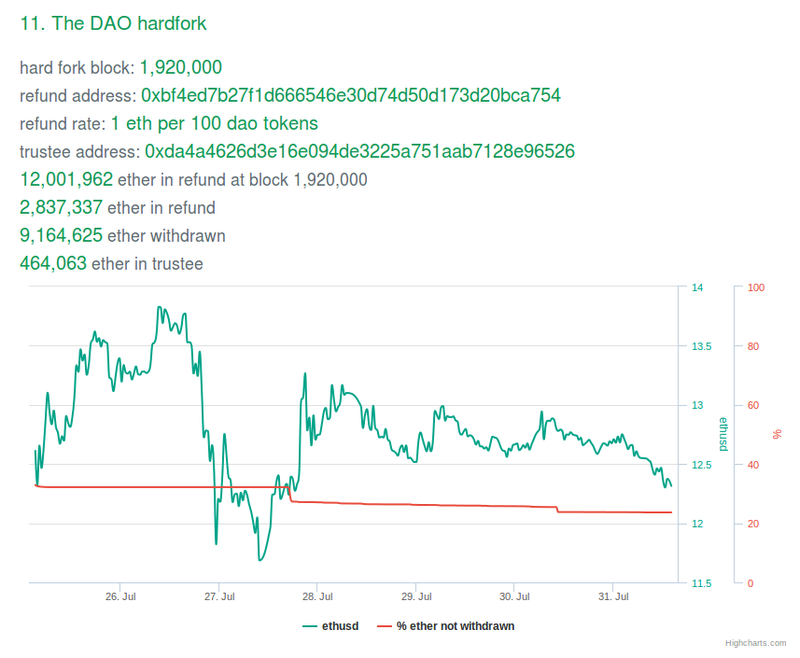 Alternatively, it might be the case that they might have invested in the DAO themselves quite considerably. Regardless of the exact reasons behind not using the dispute resolution mechanism, the paradox is that, while there is a formal basis for dispute resolution under Ethereum, the likelihood exists that in future instances of trouble, the developers will again fork their way out of trouble. Create an additional dispute resolution layer. Any practical use and implementation of Ethereum should therefore come accompanied with additional agreements on dispute resolution, so that organisations that cooperate on the basis of the ethereum blockchain create their own governance basis. In september this year, the FCA published its policy statement and approach document on the PSD2. I've been eagerly watching this document to find out what their final take would be on the understanding of the limited network exemption in relation to the specific nature of fuel cards. Because there is more than meets the eye here. In essence, some fuel cards effectively function as a purchase button on a website. They don't initiate payment orders at all. They would thus fall outside of the PSD2-scope, as any other shopping-button on websites. Due to a twist of faith however, the bank supervisors seem to be keen to ignore this reality for fuel cards and bring those under the PSD2. In this post I will highlight the flaws in this approach and conclude that the result is that if all regulators start re-writing the definitions themselves, we better label the PSD2 the Purchase Service Directive (see also the full and more elaborate analysis on the subject here). In the original payment services directive article 3k provided for a proportional application of the PSD1. Instruments with a limited geographical reach and scope, such as store cards and fuel cards were not subject to its provisions. The exemption 3k) was thus called the limited network exemption. In its proposal for the new version of the PSD, the Commission claimed the existence of payments systems, waivered as “limited networks” with massive volumes, which imply greater risk and no legal protection for payment users as “feedback from the market”. However, this feedback was not really a result of the external impact analysis onthe economic impact of the PSD1. What could be seen though is that the interpretations of local supervisors ranged from strict to very lenient, which distorted the playing field in Europe. In addition, some observers noted that there was a strong desire by supervisors to have stricter rules for in particular the fuel cards market (see the mystery of unregulated massive payment volumes, as discussed in the Paysysreport of March 2014). In the end, the net result was a very strict version of article 3k in the PSD2, to ensure that its future application would be for truly limited networks only. In addition, any organisation that uses this specific exemption has to notify the supervisor. But let's take a good look at the pre-amble and the exemption text. The pre-amble states that payment instruments covered by the limited network exclusion could include store cards and fuel cards, but it isn't conclusive. They could, but they could also not. (14) Payment instruments covered by the limited network exclusion could include store cards, fuel cards, membership cards, public transport cards, parking ticketing, meal vouchers or vouchers for specific services, which are sometimes subject to a specific tax or labour legal framework designed to promote the use of such instruments to meet the objectives laid down in social legislation. Where such a specific-purpose instrument develops into a general purpose instrument, the exclusion from the scope of this Directive should no longer apply. Instruments which can be used for purchases in stores of listed merchants should not be excluded from the scope of this Directive as such instruments are typically designed for a network of service providers which is continuously growing. The limited network exclusion should apply in combination with the obligation of potential payment service providers to notify activities falling within its scope. Article 3k is actually more clear, certainly in comparison to the previous version. It now refers explicitly to services based on specific payment instruments. The legal conclusion is thus: first you need to have something that is a payment instrument and then it may fall under a limited network exemption. The above may not be how the FCA are looking at it. Both in their consultation and further guidance they seem to that 3k is written as pertaining to all instruments, not just payment instruments. I pointed this out in a response to the consultation (see this separate blog) and asked for further clarification. Yet, their feedback document, doesn't mention anything on this definition question at all, which is a bit disappointing given the timely and good job efforts that the FCA usually put in with all their consultation work. So the ambiquity stays: while the notification forms clearly outline that applications must clarify the nature of the involved payment services and payment instruments, all the guidance does is steer towards an understanding of the 3k article as pertaining to all instrument (as under PSD1). This still leaves us with the question: when would a fuel card qualify as a a payment instrument. Or is it just as exempt from the PSD as a purchase button in an Internet-webstore? Fuel card as a payment instrument or purchase device? Let’s have a closer look at the workings of a fuel card and what it does in terms of business processes. Generally speaking, fuel cards are delivered by oil companies to corporate fleet owners, sometimes distributed via resellers or co-branding arrangements. They effectively are a tool that validates the legal competency of its holder, to take out goods/services from service delivery stations. The company to which the cards are provided takes full responsibility for all services/goods delivered to the users of the cards and receives a monthly overview of all purchases done with the cards. It can set usage levels per card, ensuring that no more than a certain amount of goods and services are to be delivered to the cardholder. It can also set the range of goods to be delivered from narrow (fuel only) to wide (fuel and shop goods). Every month, the fleet owning company receives an invoice with an overview of all purchases made and the rebate applied (mostly volume based). This specifies the purchases made in the network of the oil company itself as well as those in other networks and by other service providers. These other networks of service stations may also deliver goods/services to the card holder. What happens in practice is that prior to the actual delivery, the cardholders’ oil-company buys the whole service/goods package that the card-holder wishes to take out at the selected other networks with whom the oil-company has struck delivery and service agreements. - the oil company in a country to the corporate client that distributed its cards to the employees. While technically there may be many variations to this flow, it does serve to achieve an important effect in VAT-terms. It allows the involved oil companies and networks to reclaim the relevant VAT from local authorities and thus lower the end-fee to the corporate fleet-owners. What's the difference between purchase and payment? In the table below, I've summarized the functional difference between the use of a payment card or a purchase card at an oil station. The amount to be paid is unknown. At the end of the month, rebates are applied and the reconstruction of what the actual equivalent price at this moment of sale would have been, is always a mathematic reconstruction. The amount to be paid is clear. Oil company may design its own purchase, control and billing procedures, use its own set of purchase tools and may set its own acceptance and risk parameters. Intercompany delivery agreements will apply. Periodic account statement for payments made or (as in the case of credit cards): aggregated invoice for total value of payments made, followed by direct debit. While the bank card ticks all the boxes, the fuel cards as outlined above, do not qualify as payment instruments under the current Payment Service Directive. There is no request being made to place, withdraw or transfer funds, hence there is no payment transaction, no payment order and no payment instrument. Hence, article 3k is nowhere close to being relevant. What will happen to the fuel cards niche? As the editors of the Paysys report outlined earlier in March 2014, there may exist a hidden regulatory agenda in Europe to capture fuel cards under the 3k article of the PSD2. This seems to be exactly the discussion right now for the relevant stakeholders around this subject in Europe. While technically the legal argument is straightforward, leading to fuel cards being out of scope, some lawyers point to the spirit of the article or the statements of regulators (in whichever respect being made) to claim that fuel cards do fall under article 3k and require notification. As in many situations, it's not the final legal analysis that is relevant but the legal uncertainty. Arguing the above case with a regulator may take too much time and is not the preferred option for risk-averse large issuers of fuel cards. So we may well see some players in the oil industry ending up not arguing their legal case and abiding with a flawed regulator view that takes fuel cards into the exemption scope of PSD2. If the fuel card case is not being challenged in courts, it sets an interesting precedent. Because in essence, there is no analytical difference between the fuel card and PIN mentioned above and the user-id / password combination that is in use by retail customers that are shopping at websites, using purchase buttons. Both tools are and should be out of scope for a payment service regulator. Just arguing that the instrument looks to much like a payment instrument is just not enough. Ceci n'est pas une pipe 'payment instrument'. Forgetting the adjective 'payments' in article 3k means that the second Payments Services Directive may well turn into a full swing Purchase Services Directive. And by the looks of it, this is what the FCA may be doing in the fuel cards niche right now. This leaves the rest of the market wondering if their niches may follow at some point in time. Supervisors should however not cross that Rubicon and avoid transforming the PSD2 into a Purchase Services Directive. They should stick to the legal definition and if they don't like the consequence should not take justice in their own hands by forgetting adjectives that stand in the way of their (hidden) agenda's. Let commerce be commerce and payments be payments. Dutch bank registers show that, since the end of April this year, Dutch payment institution Adyen has officially acquired a banking license. This is clearly part of a bigger picture that shows ICT-based companies moving in a similar direction. Many years ago we could already witness the e-money institution Paypal become a bank in Luxembourg. Most recently Klarna also turned from payments institution to a bank. Now what could be driving these companies towards the bank license? A closer look at the register tells us that Adyen is licensed for: taking deposits, providing loans, payment services, issuance and management of other payment instruments, foreign currency and issuance of e-money. I would call this a ‘payments bank’ as it demonstrates a clear focus on facilitating payments rather than covering all financial services (which is the case for challenger bank Bunq). The move towards a bank does of course mean that own capital needs to be increased and some further obligations kick in, such as registering for the deposit insurance scheme. Also, despite the focus on payments, Adyen will need to provide some loans, in order to fulfil the definition of a bank in the legal sense: taking deposits and providing loans. c- counterparty risk for corporate customers. Payment institutions that operate under the Payment Services Directive always need to be aware of the nature of the services that they provider. Does it qualify as money remittance, executing payments, executing payments with a credit line or placing money on an account? For each customer that seeks a bespoke solution to a business problem, the service offering needs to be qualified and business rules need to be applied accordingly. Banks on the other hand can more easily engage in the solution domain, given that any setup that involves holding funds and transferring those, will be possible under that license. Now, payments institutions may of course be well accustomed to the scope and qualification work, so at the end of the day, this part of new business development may not be the source of a lot of head-ache. Still, it might be helpful to bring an end to discussions with local supervisors in Europe that might have their own opinions on the exact content of the payments institution license. One big difference between banks and payment institutions is that payment institutions are barred access from the RTGS-system of the ECB. The reasons is that the Settlement Finality Directive does not allow for PIs to become a direct member of designated systems. Even though already 5 years ago, the Dutch Ministry of Finance has made it clear that from a policy perspective the Settlement Finality Directive should change in this respect, no further action can be seen on the EU-level. This is remarkable, as it is clear that we have a deep market for payment institutions, in which values of funds flow (or future funds flow) that may be quite significant. For example, the € 80 billion value of transactions that flow annually via Adyen (2016) comes close to the total value of transactions at the Dutch point of sale which is somewhere near the € 100 billion mark. There seems to be little logic to exclude these flows via payment institutions, from the scope of the Settlement Finality Directive. In addition, we should not forget that the prohibition to have an account in TARGET2 has an impact on the future instant payment schemes as well. The settlement leg of most instant payment schemes will be organised in such a manner that only participants with access to TARGET2 can be direct members. The implicit competitive advantage of direct access to clearing and settlement is thus carried over into the new world of instant payments as well. Unless of course, the payment institution should choose to become a bank (or the settlement finality directive changes). In the classic design of a payment institution, the PI holds the customer funds in a separated account at a financial institution. Yet, if the bank where those monies are held goes broke, there is no recourse to the funds whatsoever. So the PI-business model means that all corporate customers have an inherent counterparty risk against the bank(s) that the PI has chosen to use to channel the separated payment flows. It is well known that in particular larger companies dislike such intermediate counterparty risks. We’ve witnessed this before when Kasbank in the Netherlands was the only settlement bank for the transactions at the stock exchange. That model was eventually phased out. In a similar vein I could imagine that the possibility to eliminate this counterparty risk for its customers, may have also been one of the considerations for Adyen to move towards a bank license. In addition, the increased capital base that comes with the bank status could also help in comforting corporate customers. For a company that processes so many transaction annually, the obliged minimum capital base of € 125.000 appears to be somewhat thin. As the digitalisation of our economy allows for further modularisation of all kinds of services, we see the same thing happening in the financial sector. We can also witness banking and payments regulation adapt to this reality. The first wave of ‘bank-light’ regulation in 2002 allowed for e-money institutions and the second one in 2009 for payment institutions. In both categories the larger players have gradually chosen to obtain a banking license, while some players have started a digital bank from scratch. With the renewal of the Payment Service Directive and its obligatory open access, it is clear that for payments services the modularisation of services has become the norm. And it may be only a matter of time before we see the other bank business lines open up all the same. With that, the mental image of the bank as a full service provider will gradually disappear. We will undoubtedly see many more new focused banks, such as Adyen, who each excel at their own game within the bank sector. The new bank is not a bank anymore. Response to FCA consultation: please clarify what will happen to the payment in 'payment instrument' in article 3k? This April, the FCA launched its consultation on the Implementation of the revisedPayment Services Directive(PSD2): draft Approach Documentand draft Handbook changes. When reading this I was in particular paying close attention to the discussion of the limited network exemption in article 3k. The limited network exemption has its background in the fact that many retailer-based shopping or payment solutions exist, that have a function similar to that of a payment, albeit on a local scale or for a limited range of goods. In order not to be burdened with a huge supervisory obligation, the regulator has taken this class of activities out of the scope of the Payment Service Directive and rightly so. There is a relevant difference between providing EU wide, reachable payment instruments and solutions that solve a specific niche retailer problem. But getting this right in all detail is tough and therefore the wording of article 3k is somewhat vague. This allows supervisors to apply the article in a sensible way, in line with the spirit of the regulation. In its final report on the PSD II (11 March 201412) the ECON Committee accepted the Recital 12 with the statement of the Commission of the existence of “massive payment volumes and values” offering “hundreds or thousands of different products and services” which are wrongfully operating under the exception of the limited networks of the Payment Services Directive (2007/64/EC). In order to improve consumer protection, these huge payment schemes should no longer be waivered. Therefore, the Commission proposed a narrowed definition of “limited network/limited range” (Article 3 k) and a very restrictive implementation. In general, the ECON Committee followed the proposal of the Commission by taking over uncritically its assumption of the existence of non-regulated “massive payment volumes” in the market. In phrasing the new article however, something did happen that may have been legally quite relevant. The wording instruments changed into payment instruments. This means that instruments which do not qualify as payment instruments and are not used to deliver payment services under the PSD2, will not qualify. Effectively this takes out a lot of retailer instruments, which sometimes can be card-based, as they are not truly payment instruments but tools to add purchases into a shopping basket (which can be paid monthly via direct debit payment for example). It also means that petrol cards or fuel cards that are based on a similar mechanism - and may include a chain sale - will not fall under the exemption but can be considered out of scope. Now, my personal guess is that while this legal consequence is clear, supervisors may want to ignore the relevant adjective 'payments' in order to keep their hold on near-payment mechanisms, even when they are not in scope of the PSD2 and do not fit under this definition. For that reason I was very interested to see what the FCA did with the difference between instruments and payment instruments. What does the FCA propose to do with this? 2.18 Under the PSRs 2009, a business that offers a payment service may be excluded from regulation if its service is based on instruments that can be used only in a limited way to acquire goods or services in certain limited circumstances (often called the “limited network exclusion”) e.g. some gift or store cards. 2.19 PSD2 aims to standardise the application of the limited network exclusion across the EU, and makes changes to the exclusion which mean it now applies less widely. One limb of the exclusion’s application is narrowed so that it relates to instruments used to acquire a “very” limited range of goods and services (rather than “limited range” set out previously in PSD). A new limb excludes certain instruments provided for social or tax purposes from regulation under the PSRs 2017. Our proposed amendments to Q40 and Q41 in PERG 15 give guidance on the scope of the amended exclusion. Well, this proposed approach is pretty confusing, so therefore I sent in a reply to the consultation asking to clarify the FCA interpretation of article 3k. In doing so I also referred to the fuel card situation and the set up with chain sales. Clarify the confusion: are you reading payment instruments as 'instruments' in 3k or not? We are wondering why the FCA is properly using the delineation payment instruments in a lot of the texts on limited network exclusions, but when it comes down to the actual formulation of excluded activities in Perimeter Guidance, it chooses to forget the word "payments" and sticks to: payment services based on instruments used within a limited network of service providers or for a very limited range of goods or services (“limited network exclusion”). This would create an inconsistency in which the old understanding of limited network is moved towards the new PSD2-interpretations although the legal wording is substantially different. Should we understand the changed wording to be merely an omission or a situation of intended regulatory scope creep, to include all kind of non payment instruments under the scope of the payments directive? When the final document comes in, we'll have a look at the response of the FCA, to see if things have become more clear. From DNB Coin to ECB Coin...? About a year ago, it became clear that the Dutch central bank, much like other central banks, was actively experimenting with blockchain technology to further establish pros and cons of distributed ledger technology. It had developed a so-called DNB-coin - a private fork of the bitcoin blockchain - which further reinforced a whole discussion on central bank issued bitcoin-like currencies (Fedcoin as outlined by the blog of JP Koning). Fast forward to the EU parliament, where last week, rapporteur Cora van Nieuwenhuizen presented a draft Fintech report, that calls on the European Commission to draw up a Fintech Action Plan. 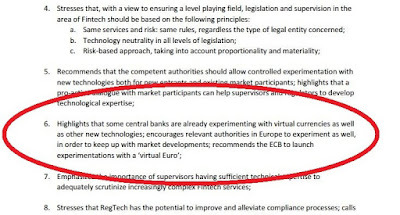 And in this plan, under item number 6, the ECB is recommended to launch experimentations with a 'virtual Euro'. I think we may dub this as the call for an ECB-coin. 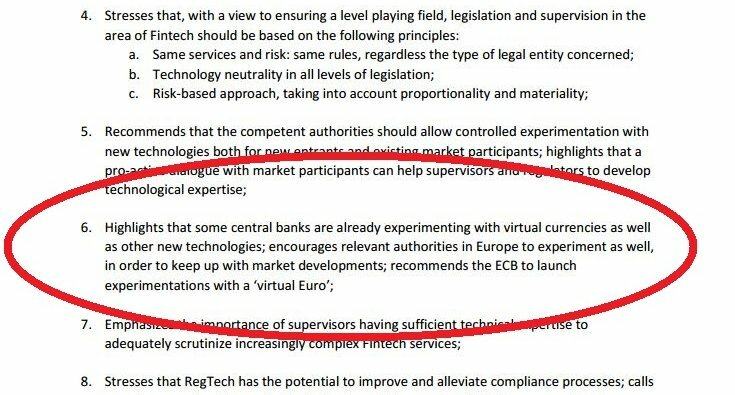 One can only guess what exactly would be meant here, but my best guess would be that this means the ECB can now freely choose to experiment with methods for distributing digital euro's using advanced blockchain or distributed ledger technology. So would they design it themselves, or involve themselves into market initiatives such as R3, Hyperledger? Time will undoubtedly tell how this experiment with ECB-coins will evolve. We should note however that, there is also a European legislative initiative to limit the use of cash. So it appears logical that the cash-limiting initiative could reinforce the development of central bank issued virtual currencies (i.e. euro's on a blockchain). In sum we will be watching the end of anonimity, but this may not be its true end. I think it would be fairly easy to device new business and payment models where one slices off the good-reputation of a payer/payee (not blacklisted, no terrorist etc) into a pseudonomous, tokenised system that allows payer, payee and all involved financial institutions not to know each other but still transact securely and within the legal parameters as set by society. Which most likely brings us back to square one: the blockchain.